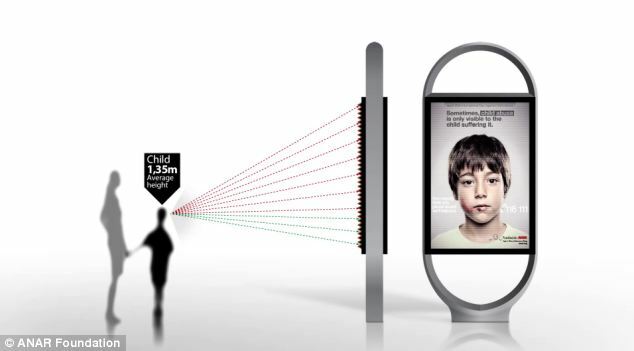 A Spanish charity has revealed a unique poster that only reveals an anti-abuse helpline to children. 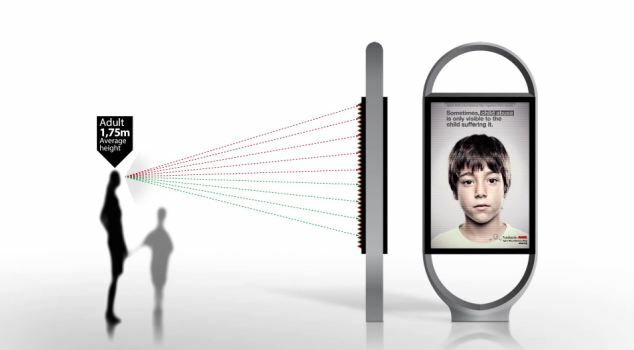 The Anar Foundation poster can only be fully seen when looked at from a child’s point of view due to a lenticular printing technique more often seen in novelty postcards. When an child sees it, they see the message ‘If somebody hurts you, phone us and we’ll help you,’ while an adult simply sees an image of a frightened child. The foundation was concerned that if a poster containing a phone number that both adult and child could see, the adult may possibly say things to dissuade the child from considering seeking help. 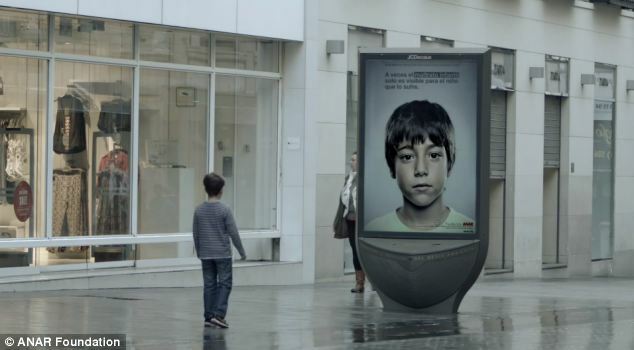 ‘It is a message exclusively for them, hidden from adult’s eyes’ said Grey Spain, the agency behind the poster.